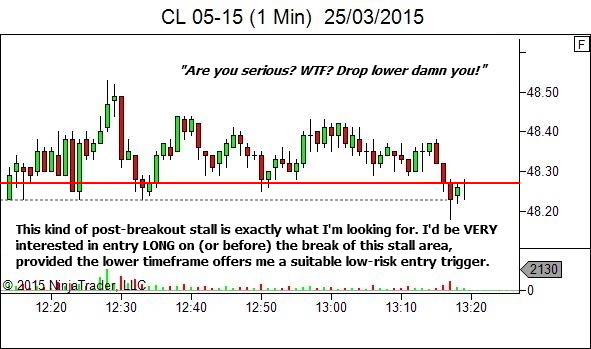 I'm not a pattern trader. 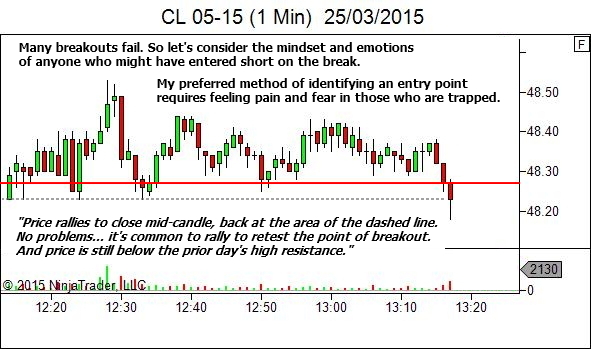 I look at the internal strength and weakness within the price movement; seeking opportunity at places of traps or weakness against the bias. 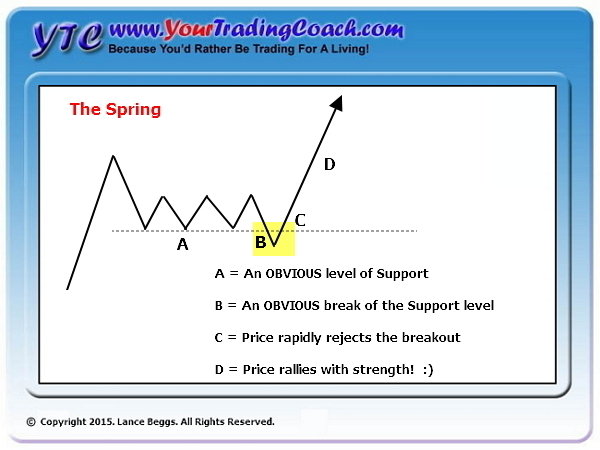 But there are some patterns that are based around similar concepts, such as the Wyckoff Spring and Upthrust. 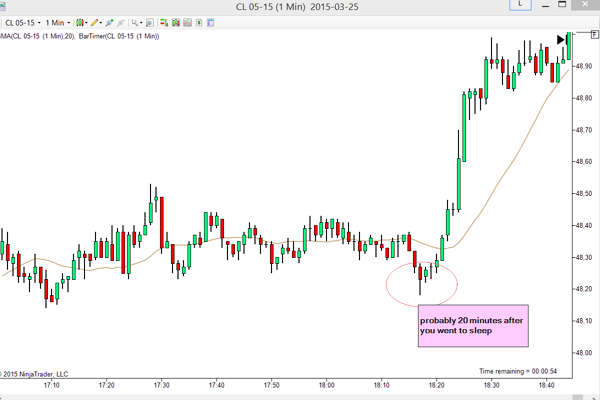 If you trade patterns, these are two which you should have in your trading arsenal. 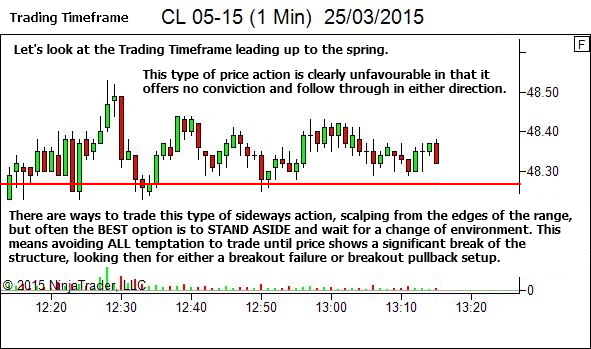 I recently received the following message from another trader, showing an excellent example of a Spring. There are two absolute facts here! And secondly, it is a beautiful example of a spring. I immediately thought I had to share this one. 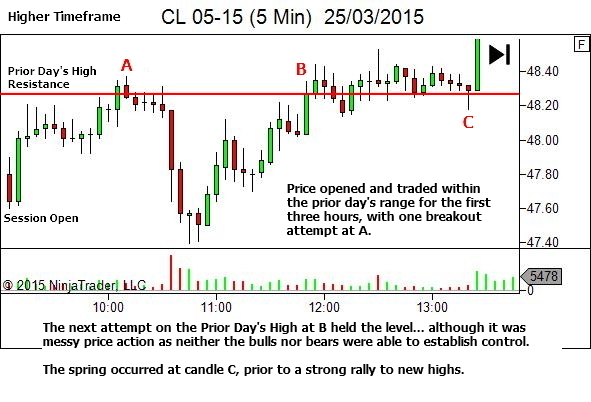 Part of what appeals to me is the rather "messy" price action – it's a REAL example, not a textbook perfect example. So let's look at the charts in a little more detail. 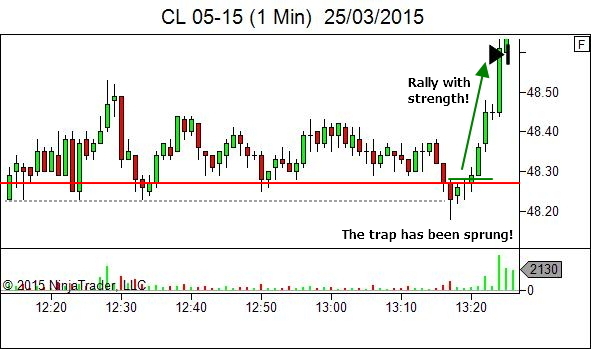 Could the breakout have worked? 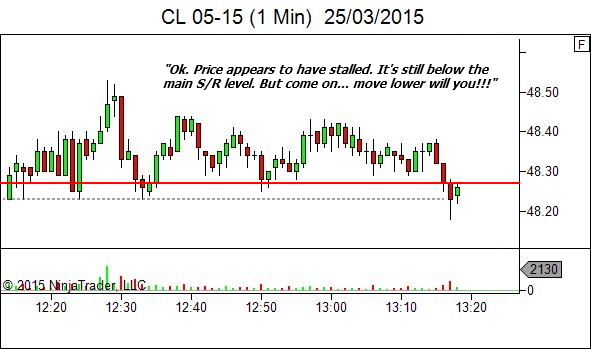 Could price have fallen and held below the S/R level? 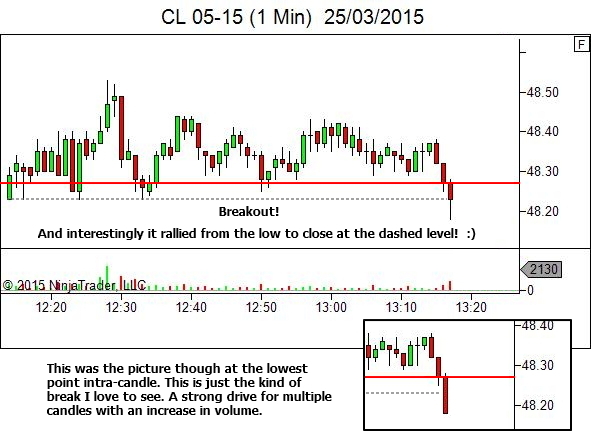 And if that was the case I'd be looking for a breakout pullback trade setup on retest of the level. But my thoughts on a break such as this are always "watch for failure"! 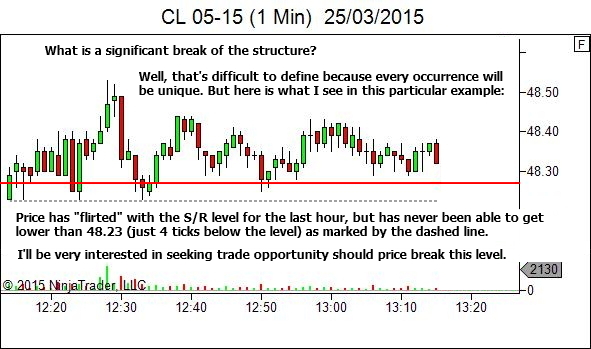 A rapid rejection of an obvious level of support can provide great trade opportunity LONG. Another great lesson, my thanks. Thanks Lance, you have been such an amazing coach like you web says,you ebook & you articles have made me a consistant trader,though i am still trading on the demo acc.but now at the end of every month with a 5000 dollars acc.i make a 3,4 or 5 thousand dollars return for the past 6months,your volume 2 & 3 brought me great insight after studying it over & over,now i can read the inner workings & stories candles tells on the trading time frame,like you always say there are no holy grails in trading,their is the sweating of the brain,thanks lance for all the encouragment you are the best in this game,once again thanks for your honesty & God bless. I hope the positive results continue as you transition from demo to a live account at some stage in the future. Be sure to start live with the minimum position size possible though… baby steps. Follow the graduated development plan in Volume 5.